A great game to learn all the main words you use when cooking. 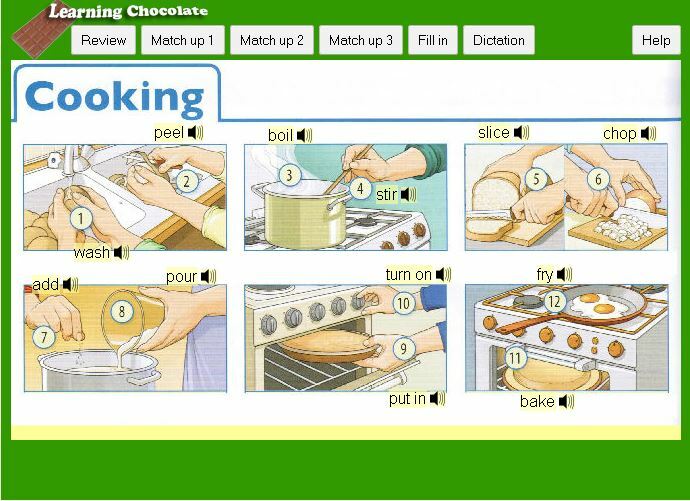 The game shows the cooking processes and includes the pronunciation and the written form of each vocabulary word. There are matching games to test yourself until you've mastered them all!